To attract local buyers or sellers to your site, you have to produce articles, videos, photos, inforgraphics, and other posts that help local consumers who are seeking information about the area. When they go online to search for answers to their real estate questions, you and your website should be there to help them. But you have to ensure that your content provides value. People are going to judge you by effort you put into your content and the resources you provide online. The better your content, the more likely people are to read it and share it online, which increases your local exposure. Once you’ve created a decent library of content for your site, you want to think about self promotion. Go to every social media platform and join the largest community-related groups. These are great places to network and promote the content you produce. Your goal is to develop relationships with local residents. Take it a step further and optimize your exposure by posting at the right times of day – 9 a.m. and 7 p.m. are two great times to share on social media. Post consistently, but don’t spam your groups, and don’t expect results right away. You need cultivate relationships and steadily work to establish yourself as a local expert. I’m talking about becoming the local Zillow or Trulia for your area, and beating out big Z and T in the eyes of both the consumer and Google. The efforts you put in will be a direct correlation to your success. It’s not going to happen overnight; you have to remain consistent, and your efforts will be the verdict on whether or not you rank on Google. When I first published an article on neighborhoods in Raleigh, N.C., it received maybe 50 readers. Now it has 25 new readers every day. 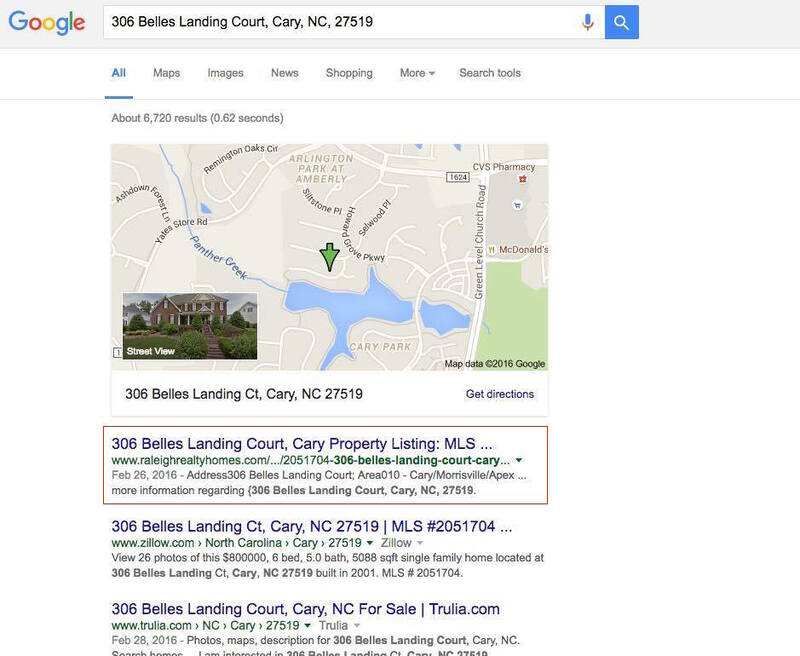 I had nearly 20,000 people searching “homes for sale in Raleigh, NC” on my website last month – we’ve become the local authority. What else can you do to become the local expert? You need to build relationships and experiences with consumers by providing value. This is how you gain their trust, and they will develop an emotional connection with your brand. This will keep them coming back time and time again. This article in particular has been a great way for me to build relationships with people who are considering moving to Raleigh. This article equates to $15,000 in commissions annually for me. That post was responsible for $7,500 in commissions within the first six months of publishing alone, and there are a lot of leads I’m working, with gains yet unrecognized. Always try to improve your content. When you’re marketing your real estate business, you have to ask yourself if you’re providing value, or if you’re selling. If you’re constantly trying to sell people, than you could be a turnoff to consumers. It’s going to be a lot harder for people to trust you as the local expert if you’re constantly in their face trying to sell them. But if you’re consistent with your website and promote your business in a meaningful way, you will become the local real estate expert online, and you’ll be happy you did. 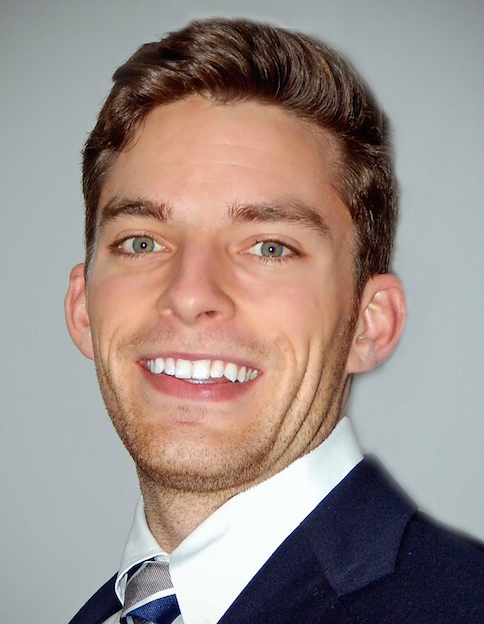 Ryan Fitzgerald is the owner of Raleigh Realty in Raleigh, N.C. Connect with him on Facebook, Google +, LinkedIn, Twitter, or Pinterest.